Question: Where would you suggest we go shelling while we are there on our vacation? Answer: The beaches change every day. Nobody has a crystal beach ball to know exactly where and what time the very best shells will appear … but then again, different people like different shells they call “the best”. Just remember that it’s a treasure hunt! Enjoy the whole experience of the hunt so keep an open mind and a good attitude. 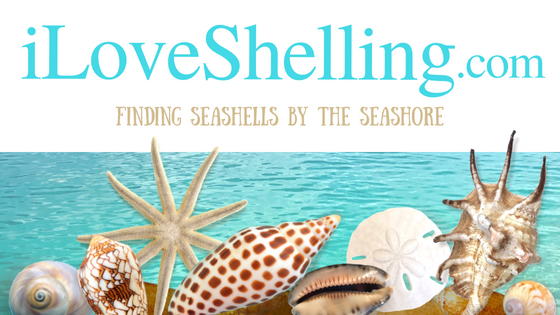 For me, the best time to go shelling is… Any chance I get! If its high tide, low tide, morning , noon or night- any time to have an excuse to get to the beach is a good one. So here’s a few shelling tips for different times and beach conditions to use as clues for your treasure hunt for your favorite seashells…..
#1 Shelling Tip- Look at the tides for the days you will be here. An hour before and after low tide is a great way to start your shelling trip. #2 Shelling Tip- Look at the moon phase. A full moon or new moon have the most extreme tides so this is a great time to shell. #3 Shelling Tip– If it is possible, stay at a hotel or inn close to the beach. Your odds at getting more time shelling are much greater with easy access early in the morning and evenings with hassle free parking. #4 Shelling Tip- Look at the weather conditions and wind direction. If the wind is blowing from the water to the shore, most likely the wind and waves will wash beach bling on the shore to hunt through. Shelling after a storm with winds coming from the water is normally fantastic! #5 Shelling Tip- If you are interesting in a certain shell, go to the Search button or Category menu if this blog, click on your favorite shell, then look at the locations where they were found. For example, if you interested in finding wentletraps. Look at the bottom of the categories menu (it’s alphabetical order) then click on Wentletrap. It will give you every post which I’ve talked about wentletraps. #6 Shelling Tip- If you have a shell, beach, or name you want to search for in any post, go to the search menu, enter the name of what you are looking for, then click on the “search” button. #7 Shelling Tip-If you are not seeing big shells, look for a shell line- even if it is small- then refocus your eyes for smaller shells. Dont forget about the Beach Bling! You will be so surprised! They are amazing too! SMELL the salt in the air. FEEL the sand on your toes. LISTEN to Beach Sounds by Mother Nature. LOOK at the seascapes and seashells.